We're coming into our second year of doing the Bike Show at the Sierra Stake Out and our good friends at Lowbrow Customs have kindly stepped in to help us out with the awards and some of the production. The festivities will kick off at 5:00PM on Saturday, August 4th in the main common area next to the food trucks and burn barrels. We'll have some signage, a registration table and some volunteers to help get everything sorted. Handmade awards for Best Chopper, Best Metric, Best Vintage, Best Modern and the Lowbrow pic will be up for grabs. Look below for pics of bikes that took home prizes in 2017. Best Vintage went to this period correct cherry Shovelhead owned by AJ Walton. Best Metric went to this modded CB750 owned by Mike Lambeth. The GSXR wheels and front end made this vintage cafe race handle like a late model ripper. Softtails never get any love, but Jason Pierotti's was well deserving of Best Modern. 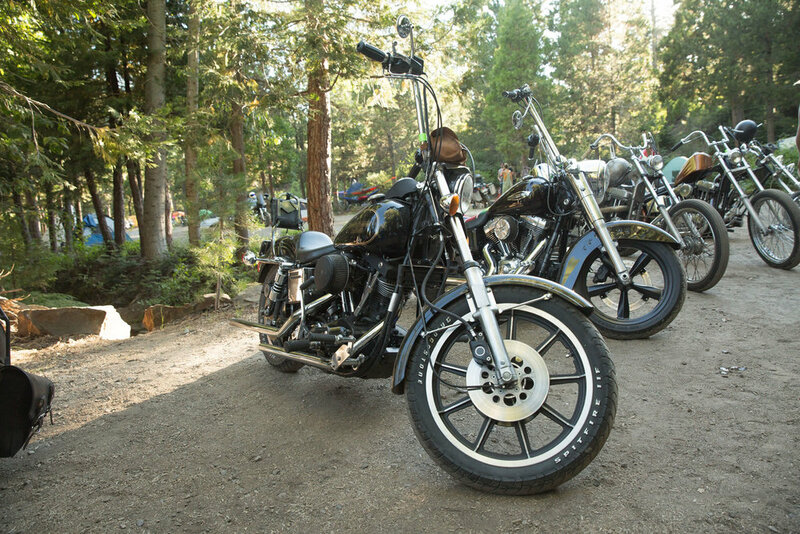 Justin Largent had this dreamy sporty chopper. The full frame build with tons of custom bits made this a fun bike to look at. If you are headed back towards Sacramento on Sunday, make sure to stop by the NorCal Swap and you could just win that bike show as well! Spectator Gate Opens @ 8:00 a.m.